So glad that it finally came true. 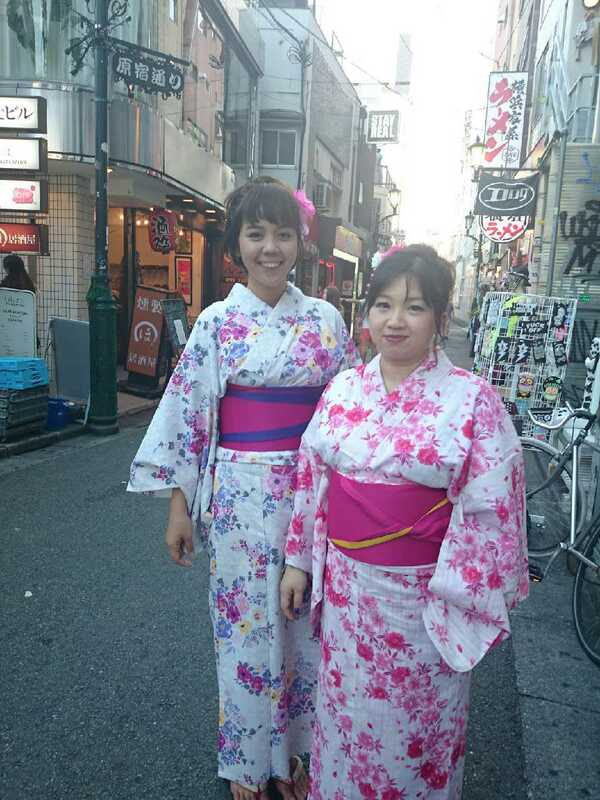 Last week I went to Tokyo, Japan with Kawaii Beauty Japan and H.I.S. 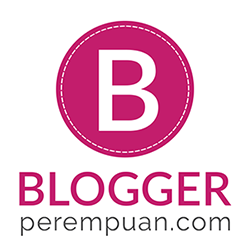 Travel Indonesia! 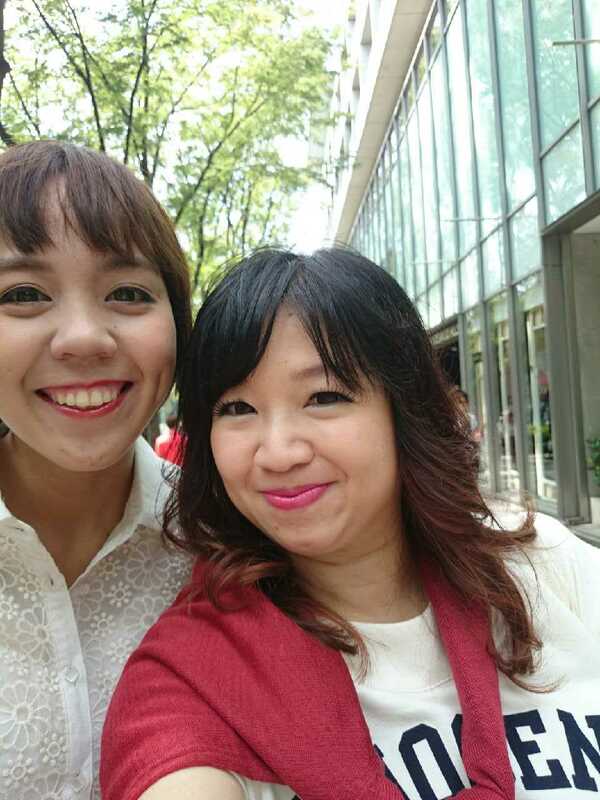 I went to experience Japan Beauty Tour as blogger together with Carnellin. We went there on August 19 to 22. 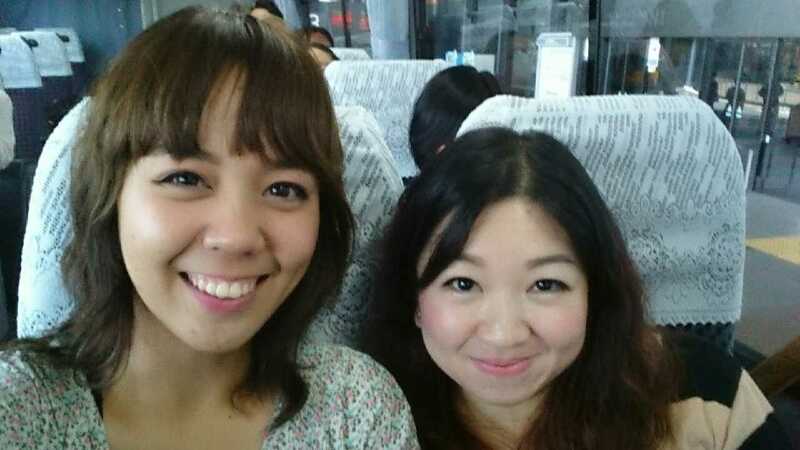 I was excited since this is my first time to go to Japan, while Carnellin has been there before. So I relied a lot on her hehe (thank you for so many tips and guidance there ^^). We fly there on August 19 at 11.30 PM. Tee hee, It's 7.5 hours flight in the night, so I plan to sleep in. But ended up watching two movies and not sleep at all, LOL. 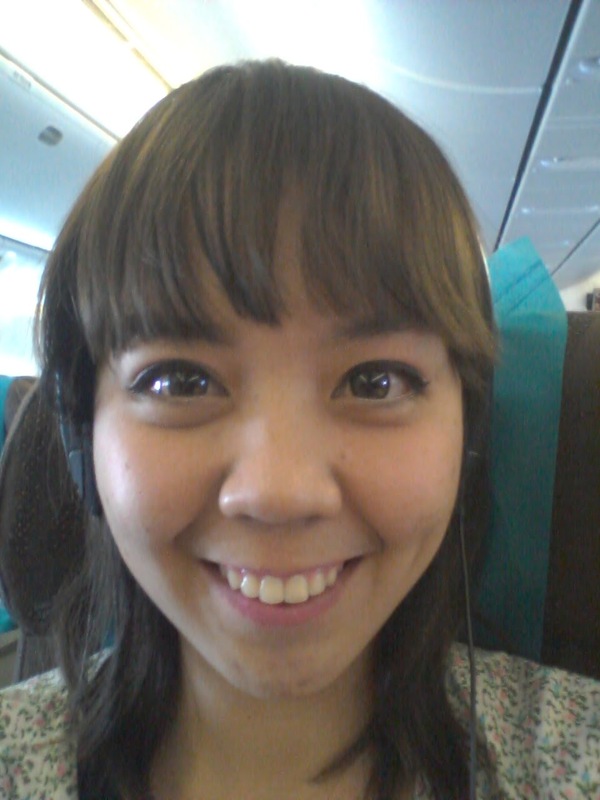 First time flying this long hours too, so I just follow Carnellin's advice to put a lot of moisturizer on face and body. And first in the morning, this was my breakfast. And here's my face, after not sleeping for the whole night (and a bit of crying because of the sad movie), HAHA. We arrived at Narita around 9.00 AM then meet the PIC; Shinohara-san. We soon proceed to the Airport Limousine Bus heading to our hotel; Shinjuku Washington Hotel located in Shinjuku area. 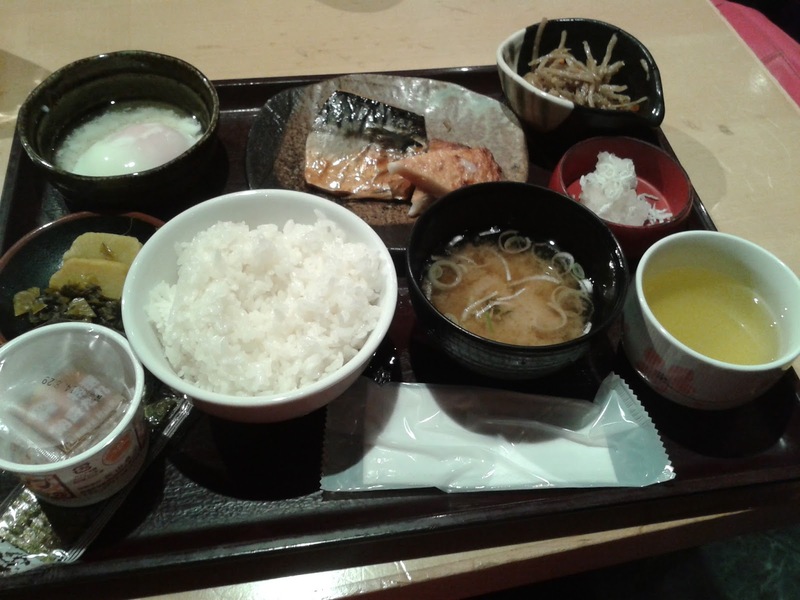 After around 2 hours of driving, we arrived in our hotel; Shinjuku Washington Hotel. 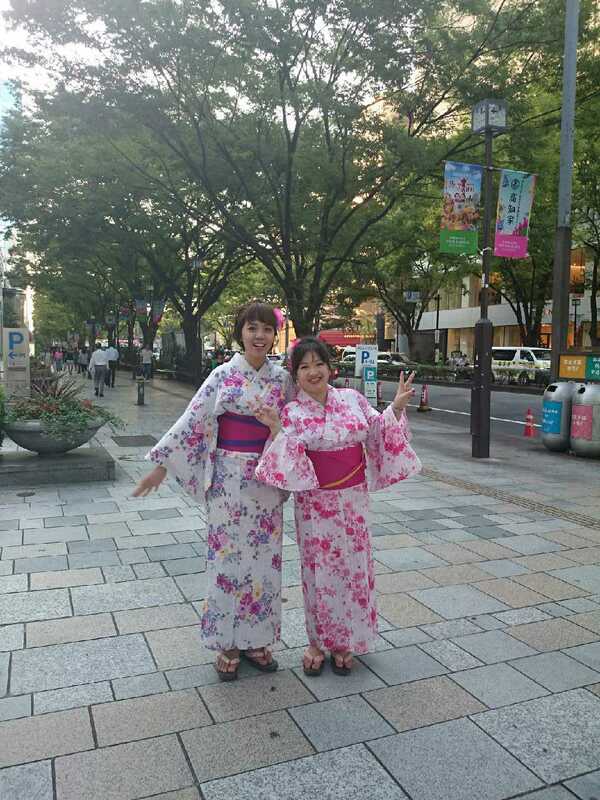 Our hotel is located strategically in Shinjuku; the heart of Tokyo. It's walking distance to Tokyo Metropolitan Building (which I previously talked about here), though I couldn't make it there during my trip. What I love abut this hotel is that it has its own ladies' floor! Yes, ladies only. It's for the comfortable and safety stay for ladies, complete with security door. And this was my room at that time. From basic like toothbrush set, shower cap, and hair comb, to beauty needs like hair leave on serum, cotton set, sheet mask, razor, even hair band! Not to forget that this hotel also provide skin care from DHC like lotion, milk, cleansing oil, and facial wash! After unpacked and shower, we had a meeting with H.I.S. Travel Japan. Also my first time riding a taxi with automatic door (you know right? The one which will open and close automatically). And inside is very nice, look at the embroidery seat cover, cute right? Also, it provides mobile charger! 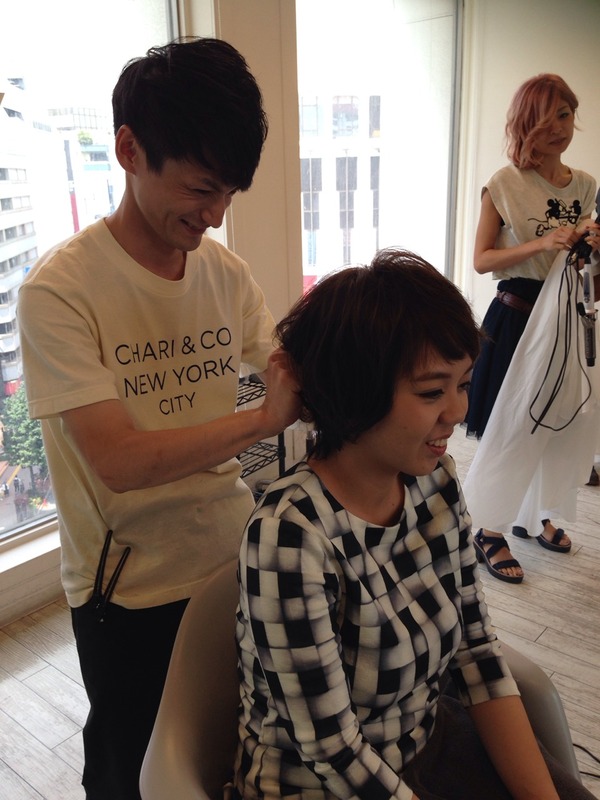 The meeting was held in Rich Media office (company that owns Kawaii Beauty Japan) located in Shinjuku, the view is AWESOME! After meeting we finally had our FREE TIME! We decided to eat first, LOL we ate at Coco Ichibanya (we also have it in Jakarta), but the menu has more variety of food and package. After eating, we decided to go back to hotel first to change clothes and get ready for shopping, haha, girls' thing. 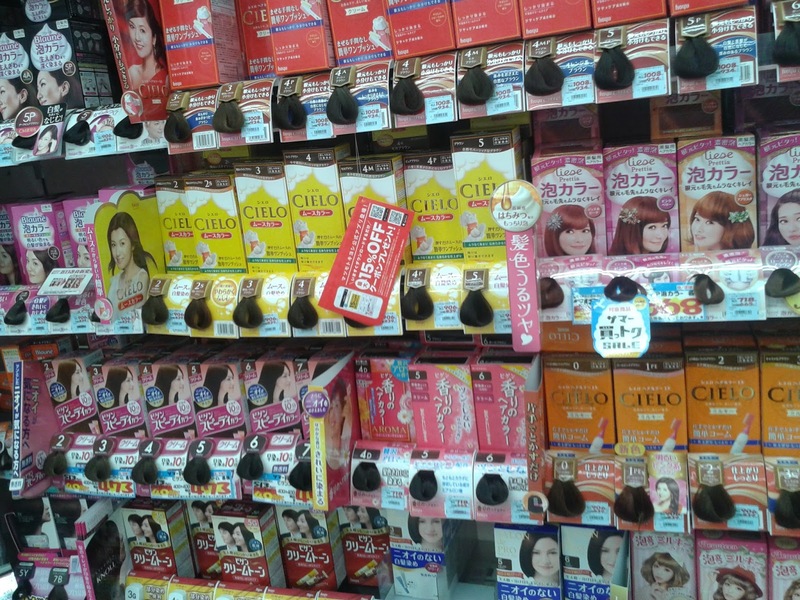 In Takeshita street, there are a lot of stores which sell variety of products, from fashion items like clothes, shoes, and bag, to beauty items like Matsumoto Kiyoshi to Don Quijote. I bought a pair of jelly shoes for 1,000 Yen at WEGO, hahaha. So maaaaaaaaany things I can find inside. I ended up buying some sunscreens for my mom (The PA++++ hasn't landed yet in Indonesia), bunch of wet tissues (LOL, I'm such a sucker for wet tissues, I don't know why I keep buying them), and hair coloring product for my mom. Done with the shopping and window shopping, we head back to hotel and stop at Hachiko's statue on the way. Ah, for sure, we also passed the famour Shibuya crossing! 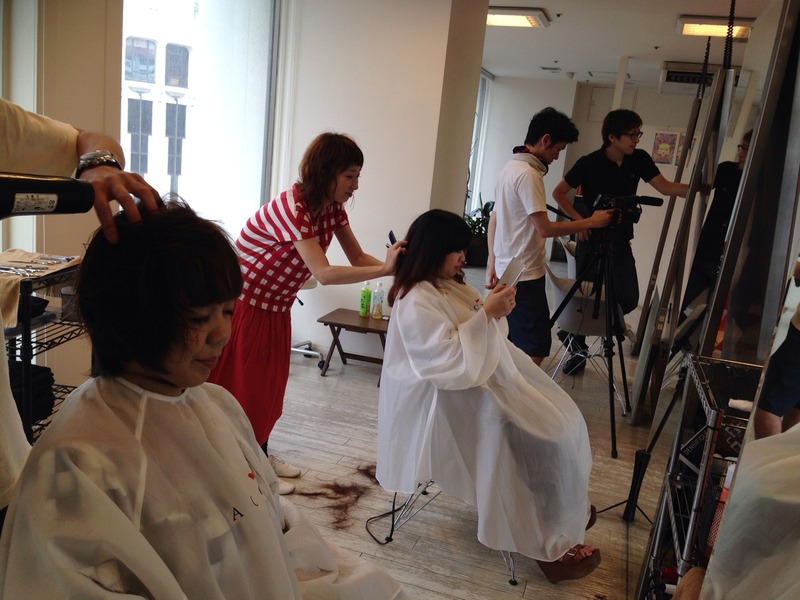 On August 21, we have the promotional video shooting together. 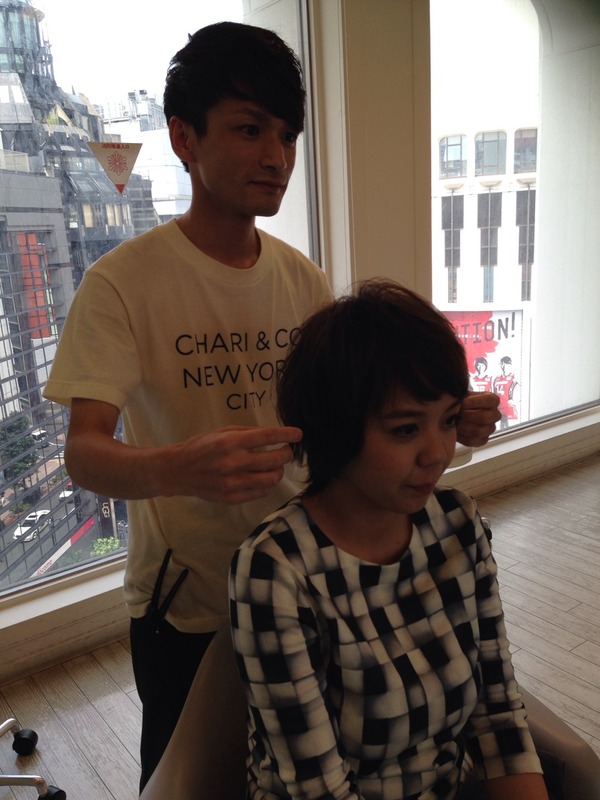 The shooting location is in Harajuku-Omotesando-Shibuya. First in the morning, we have makeup done. 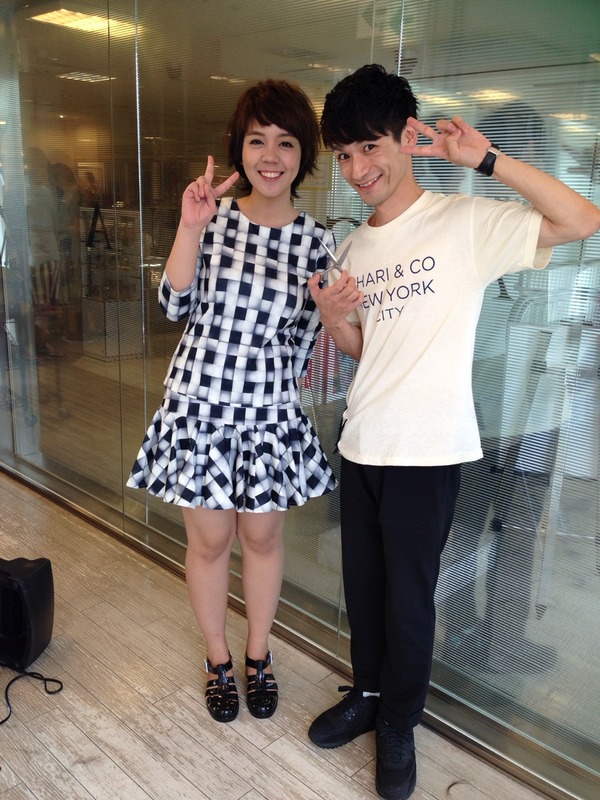 Done with the makeup, then we head for the shooting in the intersection between Harajuku and Omotesando. 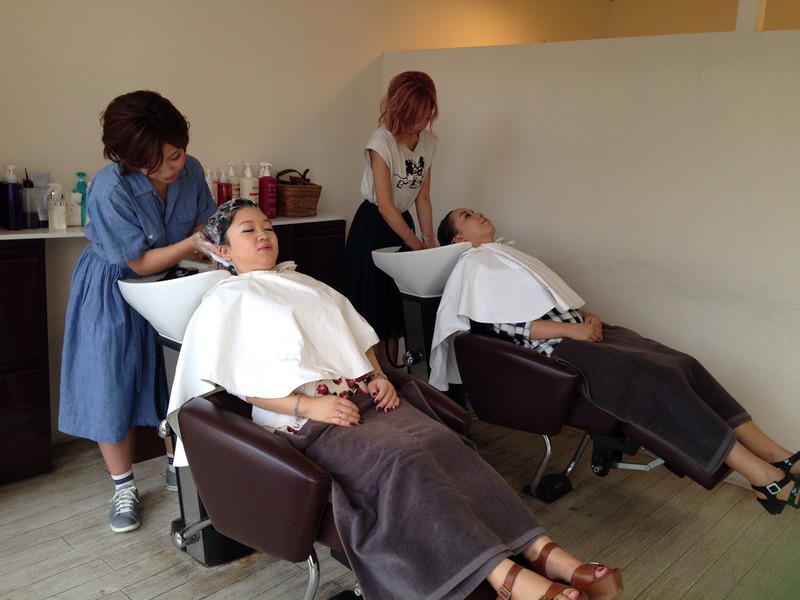 After a few takes for the road scene, we finally head to ACQUA tua; famous hair salon located in Shibuya. I'm excited! This time I specially requested for major hair makeover! Hehe, keep scrolling to find out. 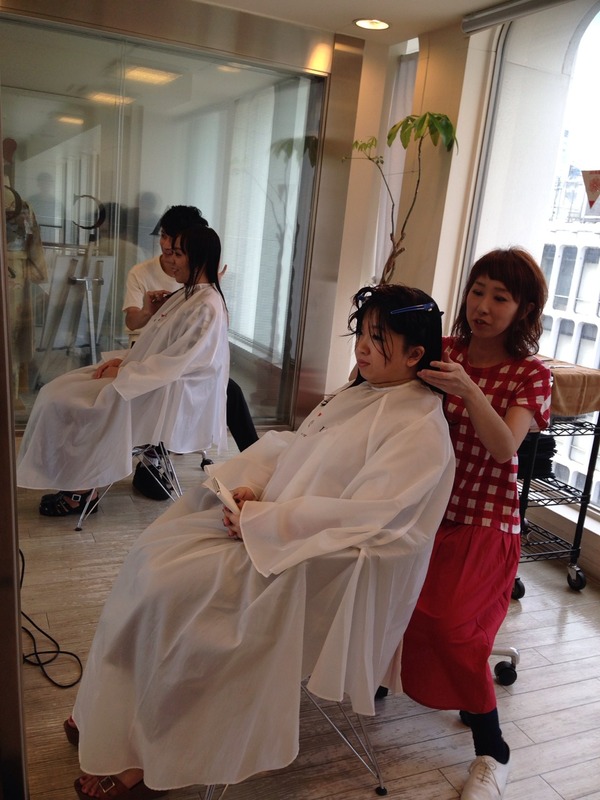 After short introduction and consultation with the hair stylist, we were taken to get our hair washed. The service was such a HUGE DIFFERENT. 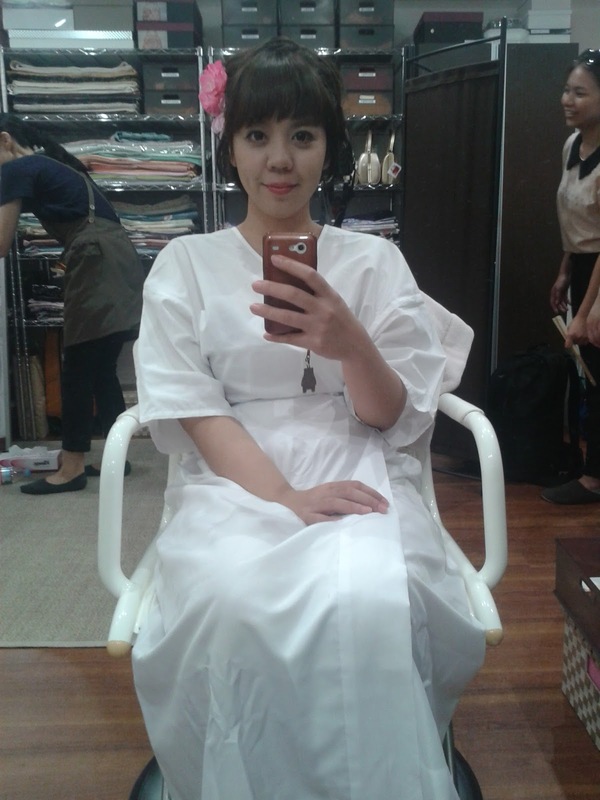 The shampooing and conditioning process was really enjoyable, not to forget that the hair stylist know how to massage. Unlike most of Indonesian salon which, ahem, press anywhere they want as hard as possible (that's why I hate creambath or hair spa in Indonesia). 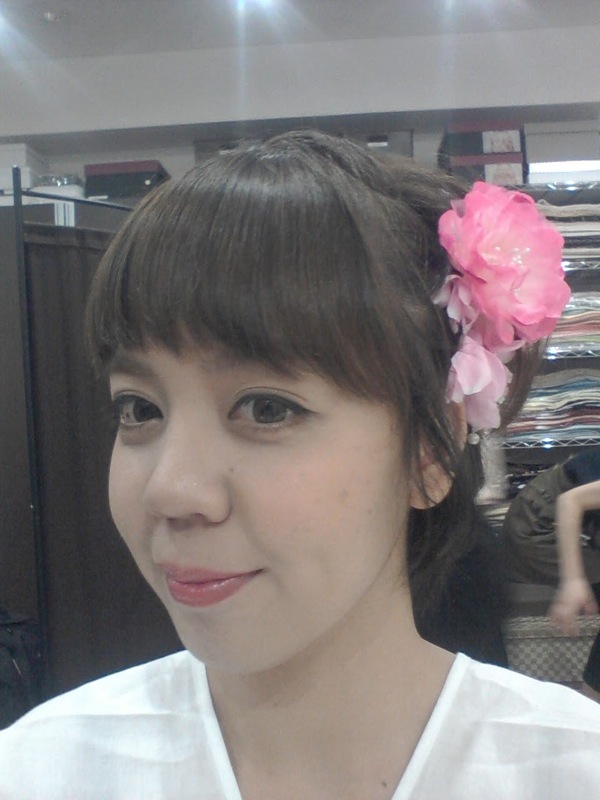 look at that girl, really cute and her hair is very nice! The massage was relaxing and soothing. The shampoo and conditioner also smell really nice! 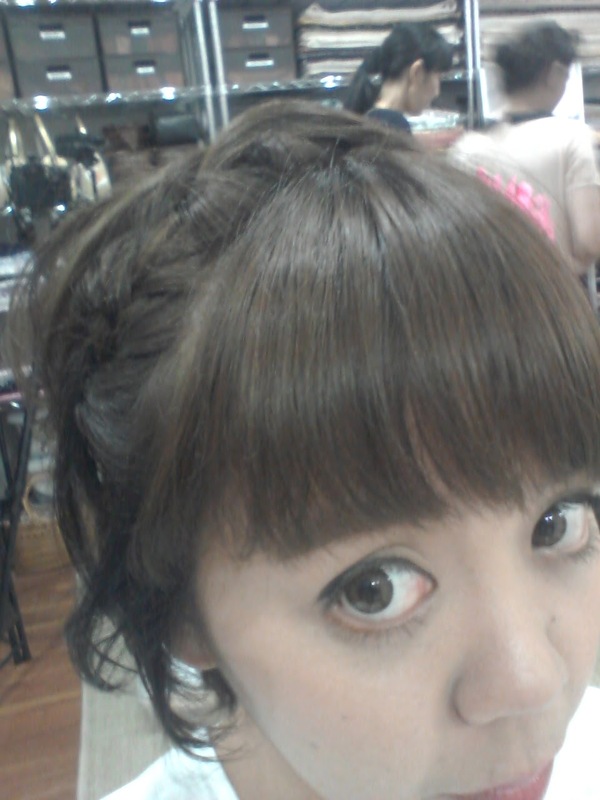 AND HERE COMES MY NEW HAIR!!! Shin-san was extremely attentive to details. After the hair cut is done and while styling, he repeat minor cut on my hair 2-3 times. I'm impressed by his conscientiousness! Next stop was Laforet, Harajuku. 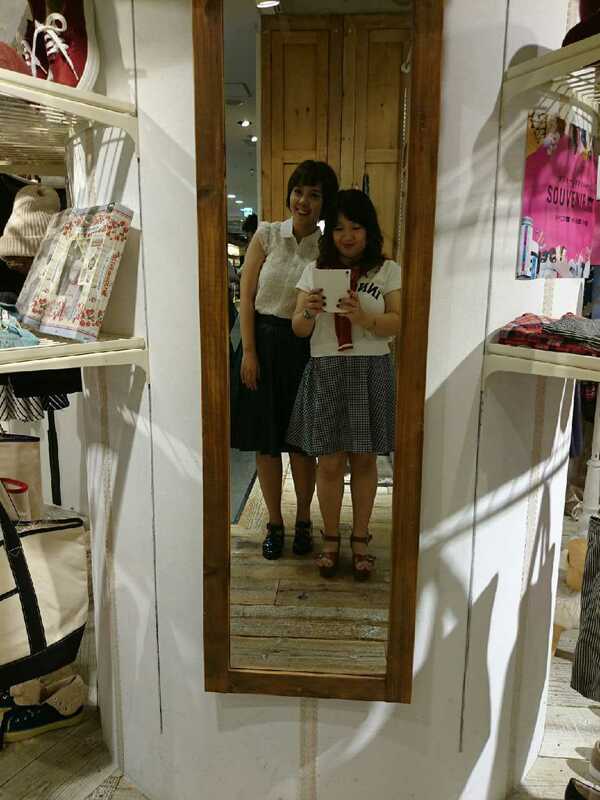 We take the shopping time scene at Olive des Olive store there! It was fun, and I was in love with the kawaii concept it has. Since we're a bit short in time, this is the only picture I've got from Carnellin. 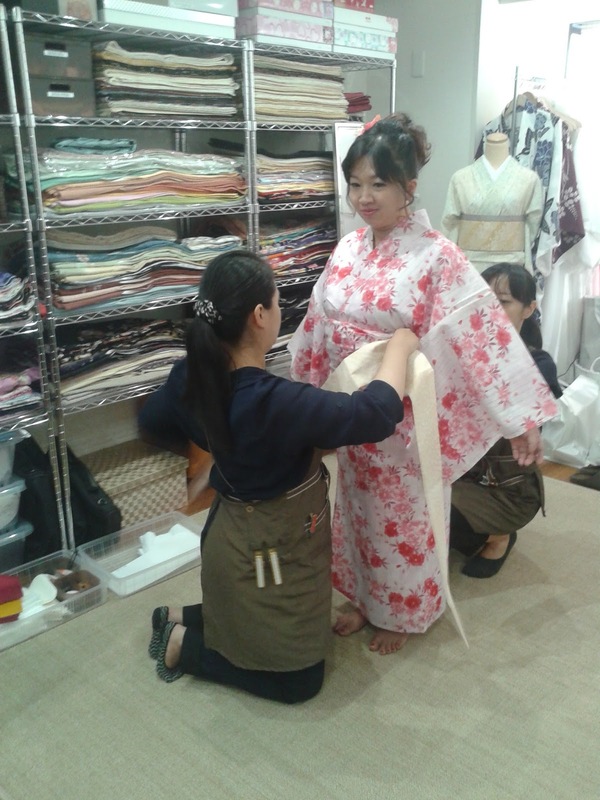 Enough with Japanese pop and modern culture, now we head to Kiyora; a kimono rental shop in Tokyo. I was really, really excited for this! 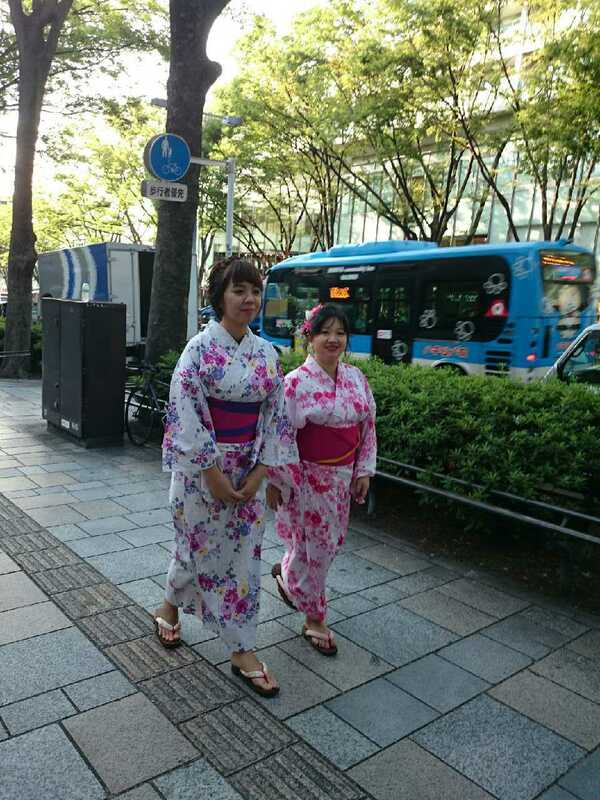 Yes, I've worn Yukata several times, but get dressed by real Japanese and in Tokyo should be different right? 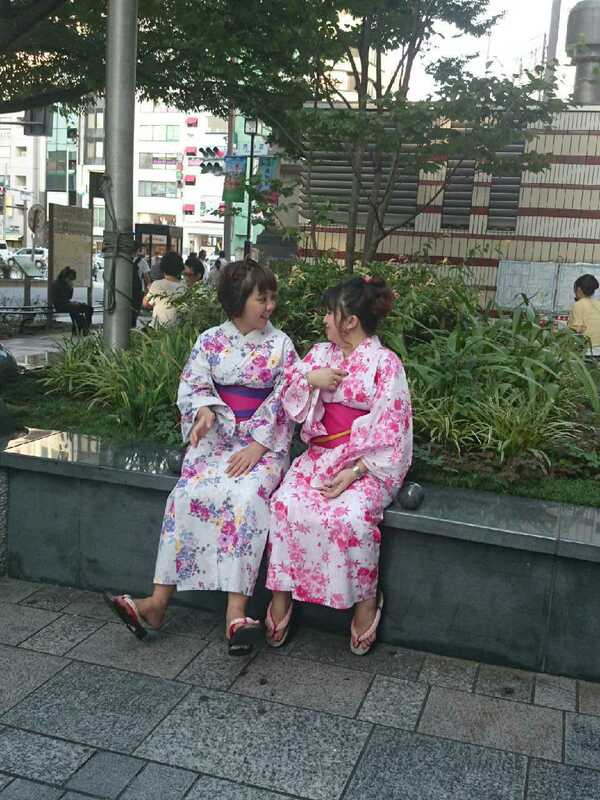 Second, we should undress then wear the undergarment for wearing Yukata. Actually, it's a very sheer white robe. 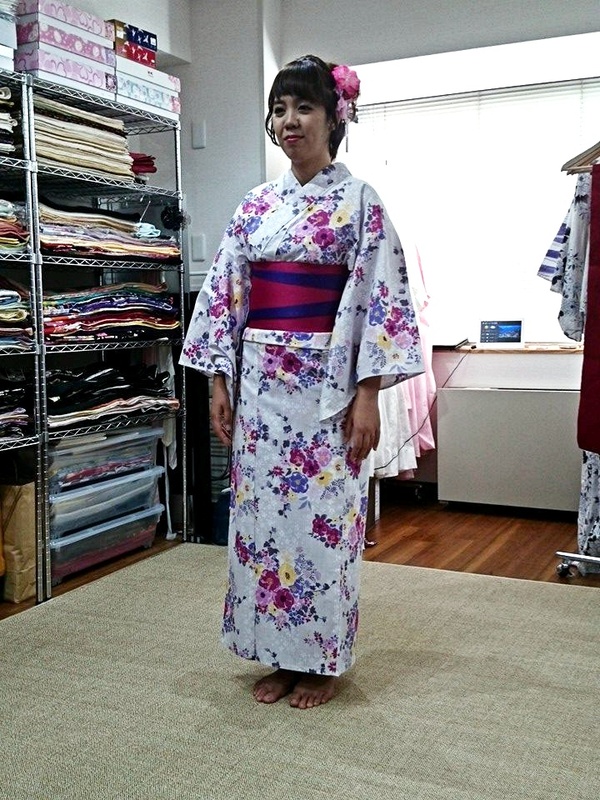 Fourth, wearing Yukata!! I took Carnellin's picture here. 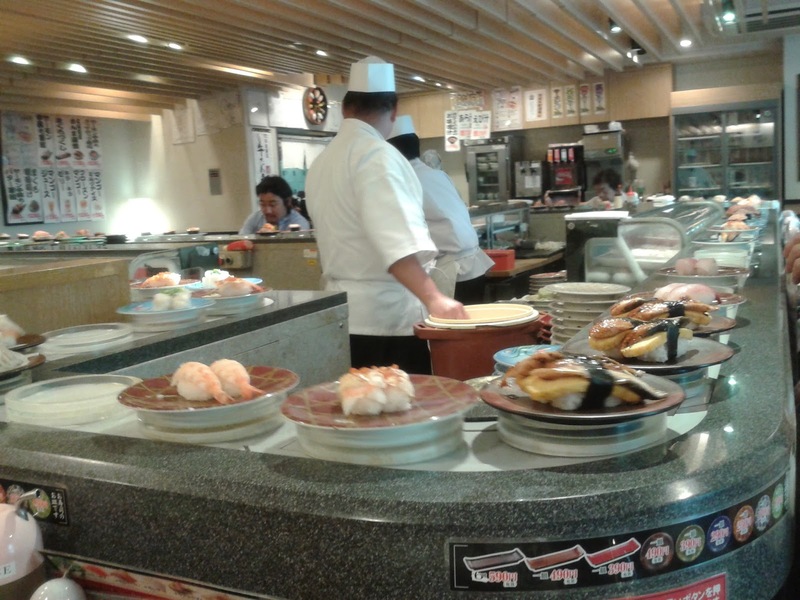 Heiroku Sushi is famous among tourist, especially foreigners. 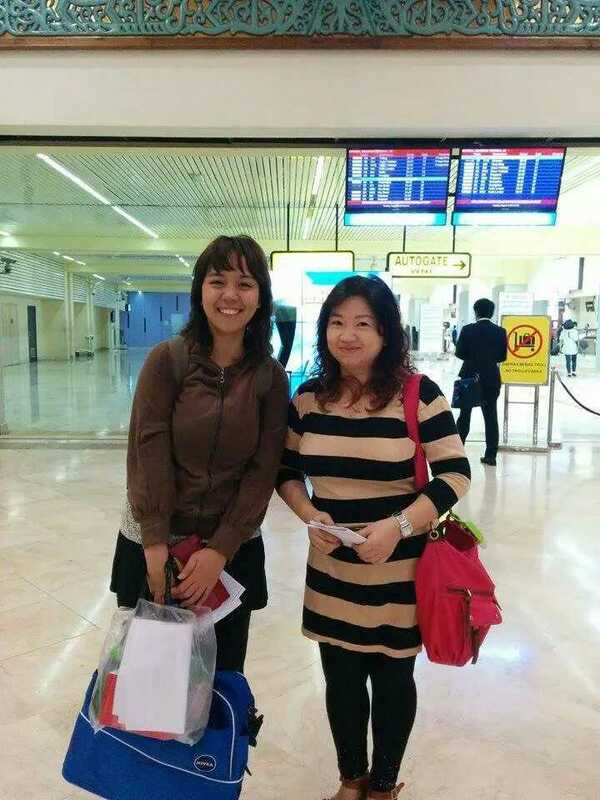 When we're there, most of the customers are foreigners, either Asian or American. And no need to worry, the chef can assists us in English! And here is the last part of that day. 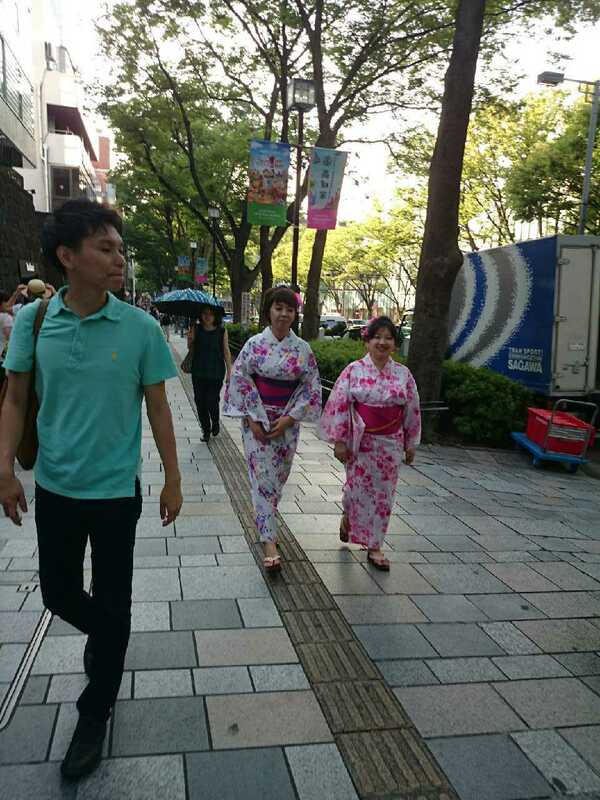 We just walk along Omotesando with Yukata, hahaha. 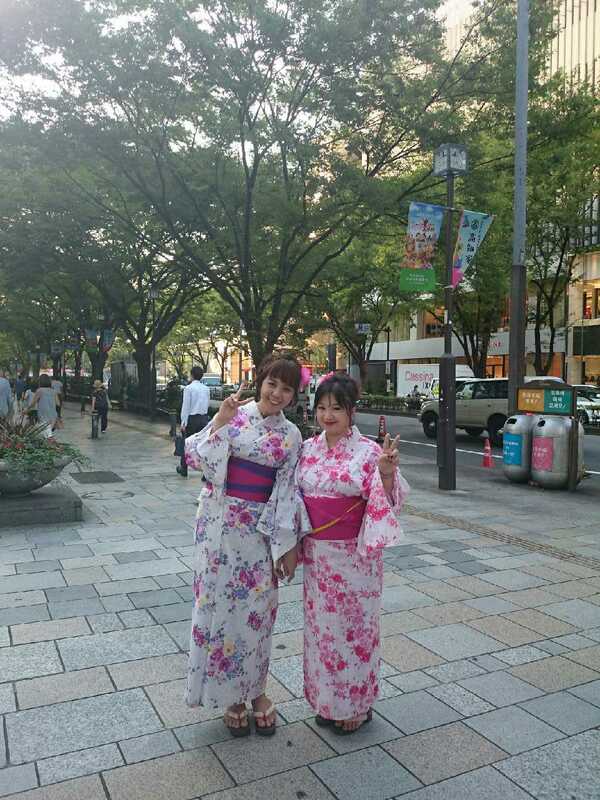 That was quite interesting since normal people don't wear Yukata there. We were like the center of the attention that day, one Italian couple even asked to take picture together with us. LOL. After that it's FREE time again!!! Hahaha. After such a long day, we also stopped by Gindaco; famous Takoyaki shop. Carnellin and Shinohara-san ate Takoyaki, while I tried the Taiyaki. 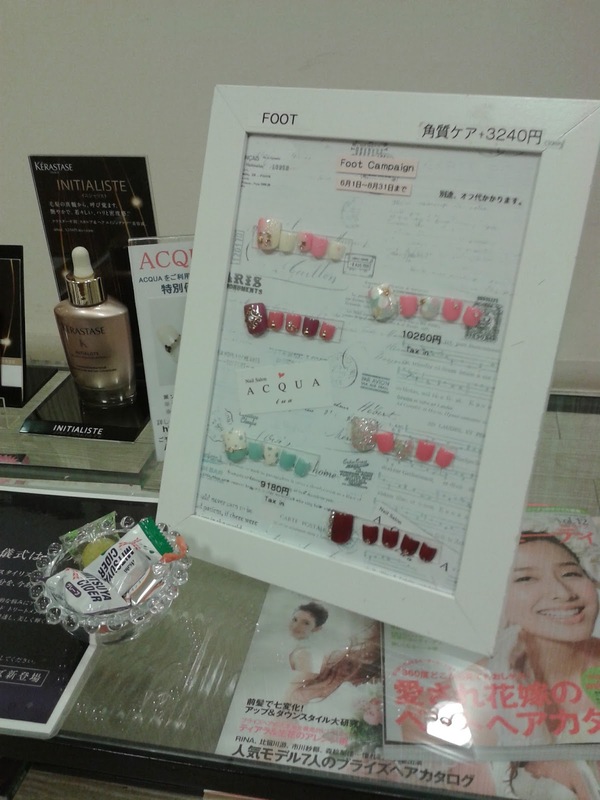 Thank you Kawaii Beauty Japan and H.I.S. 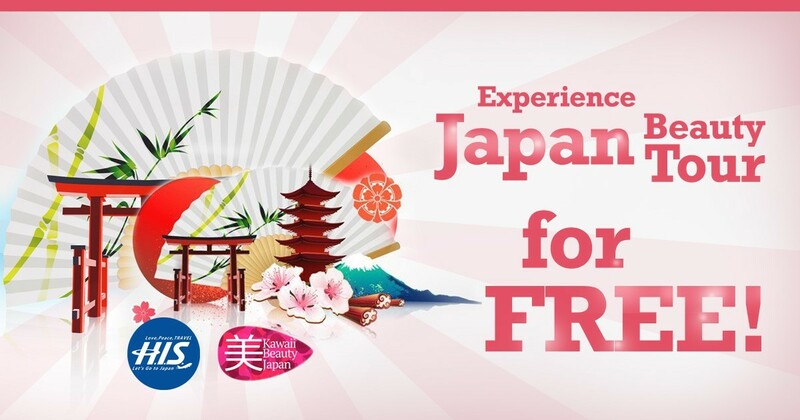 Travel Indonesia for the opportunity to visit Japan. I hope someday I can visit Japan again! the hotel looks cool ! love your new haircut ! Saya mau meninggalkan informasi saja nih untuk yang bingung mencari Tray Makanan, tidak perlu takut lagi sulit menemukannya.